A compact 4-colour A3+ printer for cost-conscious users, the L1300 is built around a high-capacity ink tank system that stretches to 7,500 black pages without a refill1. 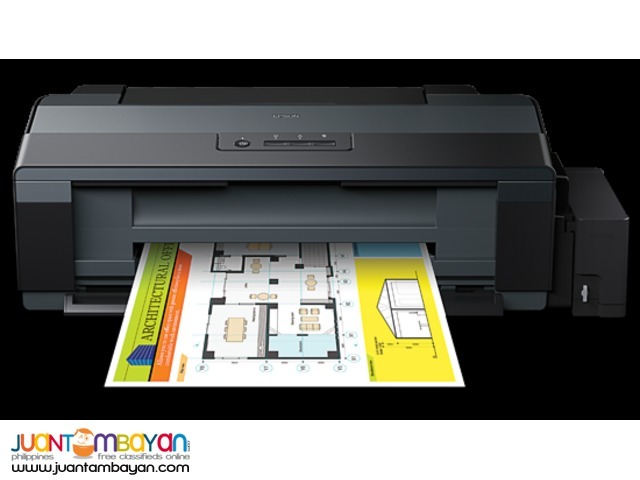 With minimal intervention, the L1300 delivers cost-effective and hassle-free printing of advertising materials, CAD drawings, graphics and reports, perfect for corporate office, retail and education environments. The L1300’s integrated ink tank system makes it refill-free for up to 7,500 pages in black and 6,500 pages in colour. When it’s finally time for a change, there’s no need for mess; with fast ink top-up technology, clear labelling and a drip-free nozzle, to refill the L1300 is a simple, quick and clean process. 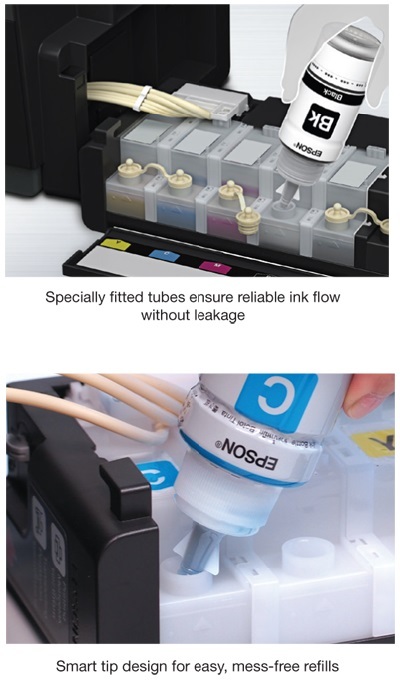 With a purpose-built ink tank, there’s no need to risk costly downtime or poor quality print-outs that can result from using third-party ink tank systems. Fully integrated into the printer, the L1300’s continuous ink ensures trouble-free mono and colour printing in up to A3+. This printer comes with a 12 month (or 30,000 page) warranty, providing peace of mind and help should you need it. Inside the L1300 is Epson’s Micro Piezo technology and genuine Epson ink, which together deliver quality print-outs. It benefits from print speeds of up to 17 pages per minute (ppm) in colour and 30 ppm in black, and ISO print speeds of 5.5 ppm in colour and 15 ppm in black.